This soup has similar elements to my Butternut Squash and Green Apple Soup but a totally different flavor profile. Yes I did write flavor profile. Cook onions and salt in olive oil and butter until soft. Add squash, garlic, red pepper and water and simmer @ 10-15 minutes. When soft enough puree with stick blender. 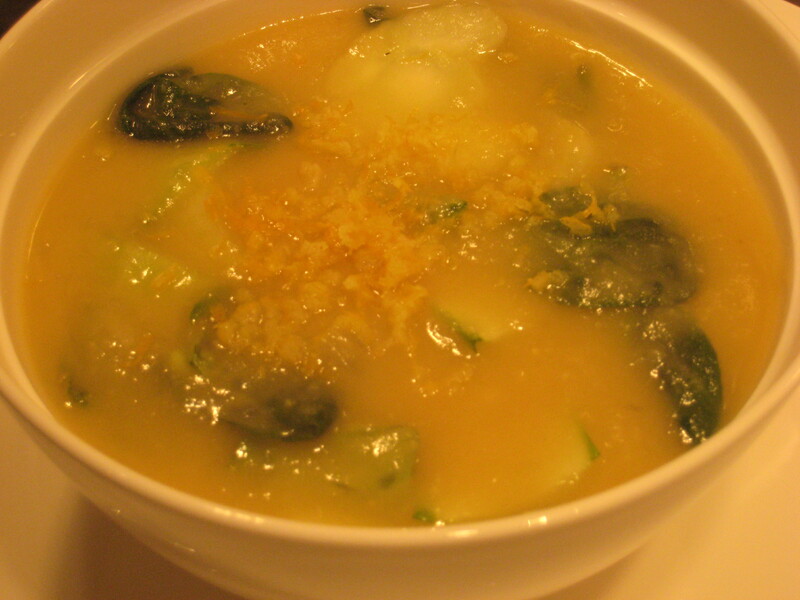 Turn off heat and allow greens to cook in hot soup. Serve topped with grated lemon zest. *Slice in half and remove seeds. Roast at 450, skin side up in a covered pan with a little water until you can put a fork through.